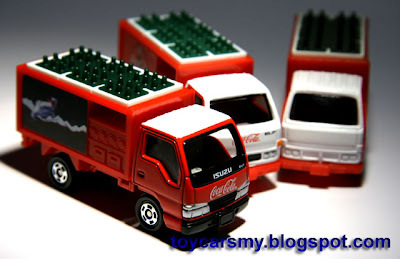 My collection on Tomica Coca-Cola Trucks on regular series. 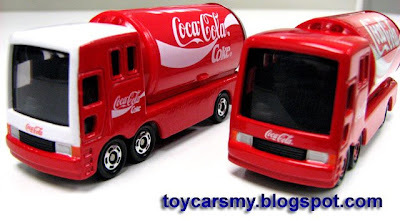 This has become rare items after Coca-Cola license with Tomica when expired. My lucky still can sourced this in local Malaysia at market price. One of the #105 got it from Hong Kong by my friend during his travel, it is the one with the white plain head without Coca-Cola logo. The truck is 1st edition casting back to 1996 when Tomica still built in Japan, It has turned antique today. If you also interested to share your collections, please feel free to drop me an email to cpyeo@hotmail.com.